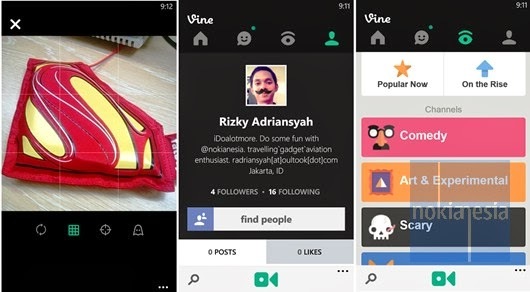 Home / application / nokia / Nokia Lumia Windows Phone 8 / Vine / Let's Get Official "Vine" for Nokia Lumia Windows Phone 8 Now !! Let's Get Official "Vine" for Nokia Lumia Windows Phone 8 Now !! Just 3 weeks after the official announcement at Nokia World 2013 last October, Finally you can start to create and share your short video clips directly from your Nokia Lumia with official "Vine" application for Nokia Lumia with Windows Phone 8. The application is now live on Windows Phone store today, you can grab it for free and let's get vine !! 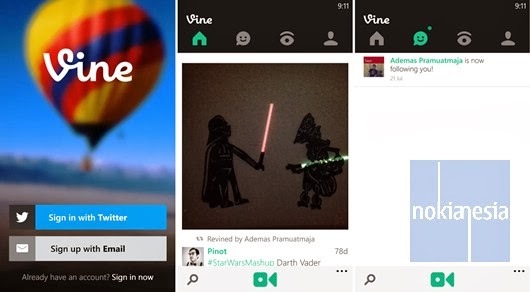 Instantly post videos on Vine, then share to Twitter and Facebook!